France's foreign ministry on Monday summoned Italy's ambassador following comments by Deputy Prime Minister Luigi Di Maio accusing Paris of continuing to colonise Africa and suggesting the European Union should slap sanctions on France. 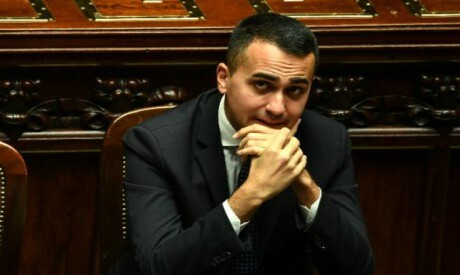 Speaking on Saturday during a trip to the Abruzzo region, Di Maio attacked France's policy in Africa, the latest episode in a war of words between Paris and Rome since the anti-establishment 5-Star-Movement and far-right League won power last year in Italy. "If we have people who are leaving Africa now it's because some European countries, and France in particular, have never stopped colonising Africa," Di Maio said. "If France didn't have its African colonies, because that's what they should be called, it would be the 15th world economy. Instead it's among the first, exactly because of what it is doing in Africa." "It's not the first time the Italian authorities have made unacceptable and aggressive comments," the source said. "I've stopped being a hypocrite talking only about the effects of immigration and it's time to talk about the causes," Di Maio said. "The EU should sanction all those countries like France that are impoverishing African countries and are causing those people to leave." Italy's far-right Deputy Prime Minister Matteo Salvini in December said French President Emmanuel Macron was to blame for the anti-government demonstrations that have rocked France since November.